After the usual business was out of the way yesterday morning, namely a swim and a swift grill on a sunlounger, P kindly drove me into Bridgetown (distance about three miles max) and dropped me off at the Mount Gay Rum Distillery visitor centre. The process for making rum is essentially identical to that of scotch whisky, except the raw ingredient is molasses made from sugar cane rather than an extract of barley. My only encounter with molasses before has been in comedy films, when some hapless villain has fallen into a vat of molasses and couldn’t get out. Well after what I saw yesterday I rather think if you gotta go, then there could be a lot of ways far worse than to drown in a vat of brown sugar. Sweet! Yesterday the plant was bottling Golden Brandy made from rum. We didn’t unfortunately, get a taste of it so I can’t report back on that one, but we did sample five and ten year old rums and I must say that the ten year old was decidedly superior to the mere youngster of five years. Yet the five year old is the core retail product of the business. I resisted the temptation (very strong at this point) to purchase a bottle or three, nor did I purchase two very attractive glass tumblers which would have been just perfect for my evening tipple back home. I’m weakening on the tumblers though and might have to return to buy them before I leave. 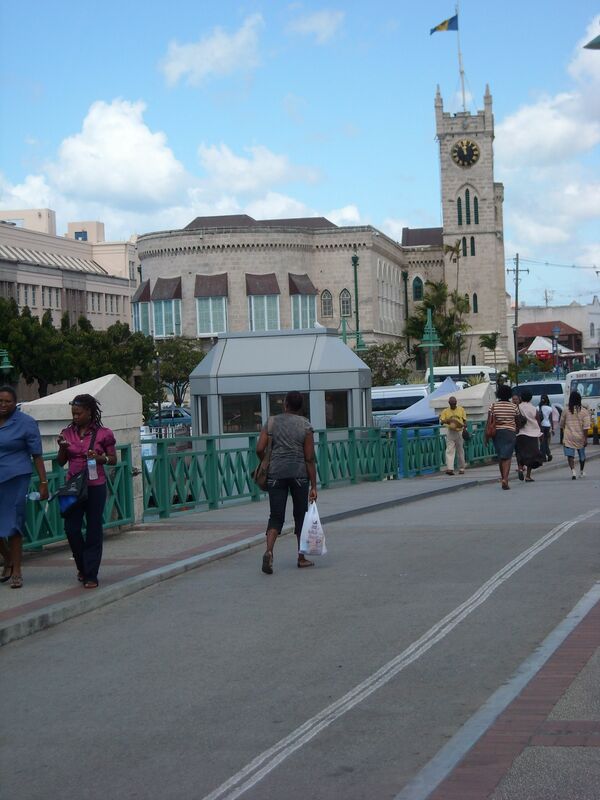 I took a taxi from the distillery on the outskirts of Bridgetown into the central business district. 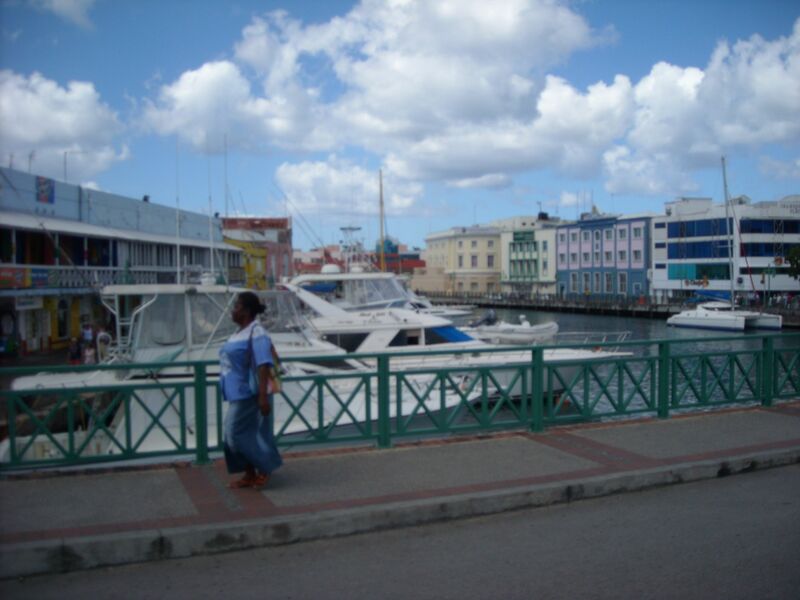 Bridgetown feels big and frenetic after St James, but its really rather compact and homely. There are two principal streets for shopping, Broad Street (duty free shops for tourists) and Swan Street (real shops for locals). Everything in the duty free shops has three prices – Bajan $, Duty Free Bajan $ and US $. The current rate of exchange is approximately three Bajan dollars to the £. The B$ is permanently linked to the US$, but not at a like for like exchange. The cost of living is said to be high in Barbados, but I didn’t think the tourist tat was particularly over the top, and the nice clothes I saw in the duty free shops seemed pretty reasonable. But I didn’t buy anything, apart from an ice cream! Next I went along to the Barbados Parliament Building to visit a museum dedicated to the story of democracy in the island. The architectural style of the Parliament buildings are Gothic, and reminiscent of the Victorian era back home in Britain. A prominent feature of both coral-limestone structures is the clock tower attached to the west-wing. Windows of the buildings have louvered shutters for blocking out direct sunlight (this, incidentally, is a common architectural feature – louvred windows are an art form here!). Barbados has one of the oldest Constitutions in the Commonwealth. The office of Governor and a Council were introduced in 1627, and a House of Assembly was constituted in 1639. An Executive Committee, created in 1881, evolved functions similar to those of ministerial government. From 1938, a campaign for political rights developed from within the trades union movement and the franchise was widened in 1944. Other political parties existed by 1946. Universal adult suffrage followed in 1951, a full ministerial system in 1954, and cabinet government in 1958. Thus, by 1958, Barbados had virtual self-government, a status formally recognised in 1961. Nominated members ceased to sit on Executive Committee, and the Governor became bound to accept the decisions of this Committee. Barbados was a member of the Federation of The West Indies, set up in 1958. After the Federation was dissolved in 1962, the Barbados Government first pursued negotiations for a smaller federation and then resolved to seek independence alone. Arrangements were agreed and Barbados became an independent sovereign state within the Commonwealth in 1966. 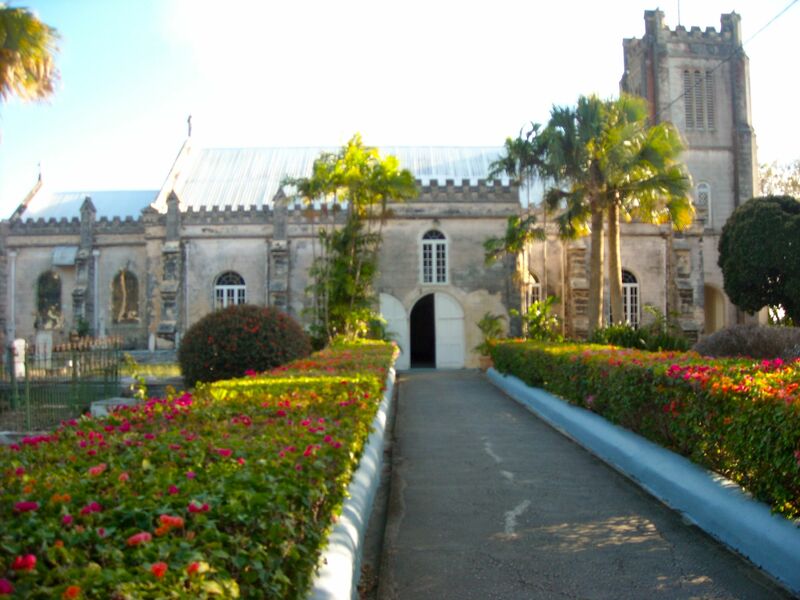 Barbados is unique across the Commonwealth for having adopted the English parish system for local government. In 1629, Barbados was divided into six parishes. These were: Christ Church, Saint Michael, Saint James, Saint Thomas, Saint Peter and Saint Lucy. In 1645, five more parishes were created by subdividing the existing large areas. These parishes all still exist today. I, for example, am staying in St James, and the administration works just as it always did, with a few modern day adaptations of course. Each parish, just like a parish back home, has a distinctive identity. Its really quite uncanny how you can drive a couple of miles and the landscape feels totally different. Yet this is an island only 21 miles long and fifteen miles wide (at its very widest point, five would be a more realistic perception of the width generally). As I’ve a background in parish pump politics (I myself was a parish councillor for ten years) I find this tale of the parish set up absolutely fascinating. I had arranged a rendezvous with P&D at a waterside cafe and we duly met there at the appointed time. I had a couple of rum punches (this is getting to be a habit!) and enjoyed grilled shrimps with Caribbean salad for my lunch. Thereafter Philip and I set off on the major expedition of the day, a visit to Drax Hall Estate. Well visit is perhaps a little strong, since the estate and particularly the plantation house are not open to the public. 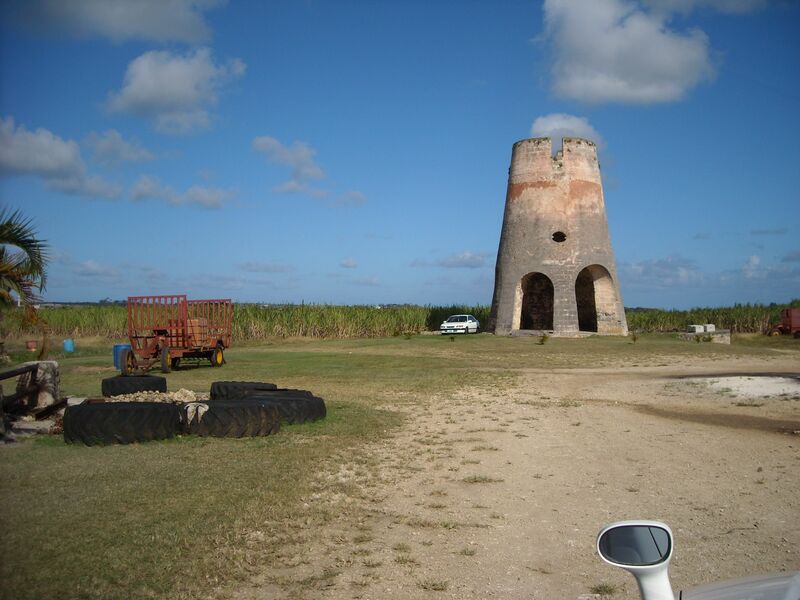 Drax Hall is well marked on the map and, being the very first sugar plantation on the island, everyone knows it anyhow! Comparing Drax Hall to Charborough Park in Dorset would be difficult. Drax Hall, for example, doesn’t have a six-foot high wall running around the perimeter. But what it does have that Charborough does not, is Drax Hall mansion. This is one of only two surviving authentic Jacobean mansions in the western hemisphere (the other one is also in Barbados). It is still owned by the Drax family, so it hasn’t changed hands since it was built circa 1642 (ish – no one knows for certain when it was built, apparently). They were in sugar right from the very start, and so amongst the original English settlers who really did make their fortunes on sugar production and sent the profits home. I was rather hoping to come across a friendly custodian who would cordially invite us in for afternoon tea and a gander, but no such invitation was forthcoming. So photos were snapped and we came away, me very much happier for having been to Drax Hall and with a comprehension now of how the Draxes came to be able to afford such a magnificent mansion at Charborough Park! There is an historic side to the new housing development which the National Housing Corporation (NHC) has constructed at Drax Hall Hope/Greens, St. George. Not only have the houses been built on land owned previously by the Drax Hall Plantation, a historic landmark in the parish, but two avenues carry the names of icons associated with that organisation. 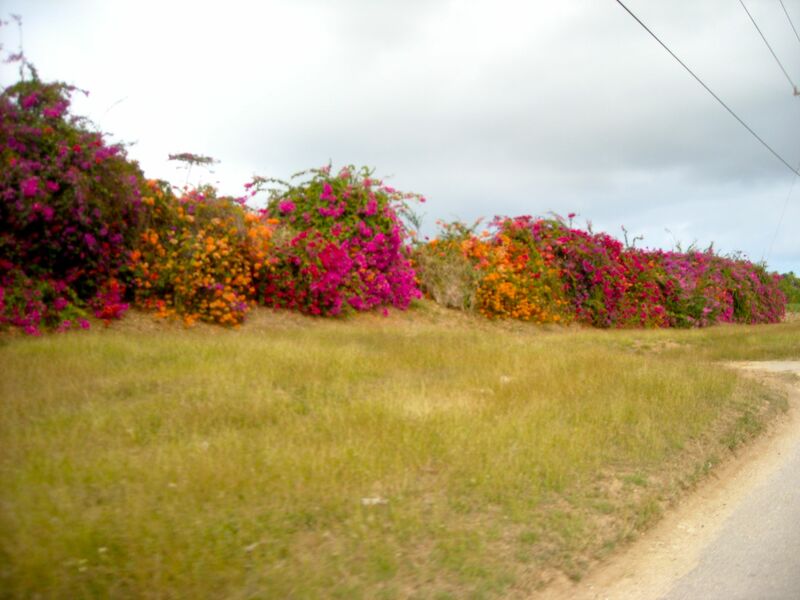 The James Drax Avenue is named after Drax, one of the early British planters who came to Barbados in the 17th century, acquired several acres of land in the parish bordering St. Philip and St. John, and began the cultivation of sugar canes. 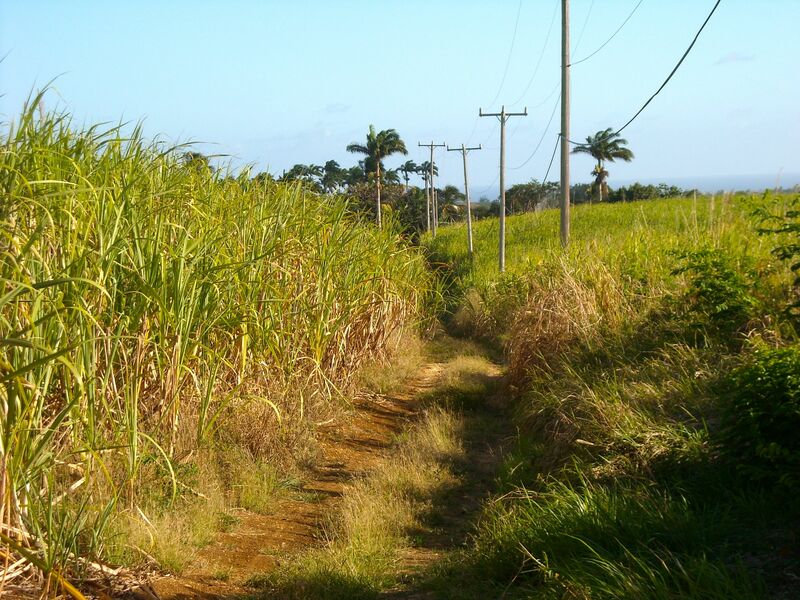 Sugar cane cultivation remains the principal agricultural activity on the Drax Hall Plantation to this day. Another street is named after another member of the Drax family. One resident in the area told Business Monday that the authorities appear keen in having a historic connection to the housing project. “This whole area is Drax Hall, so the naming of the avenues seems to be keeping the historic link in tact”, said the resident. 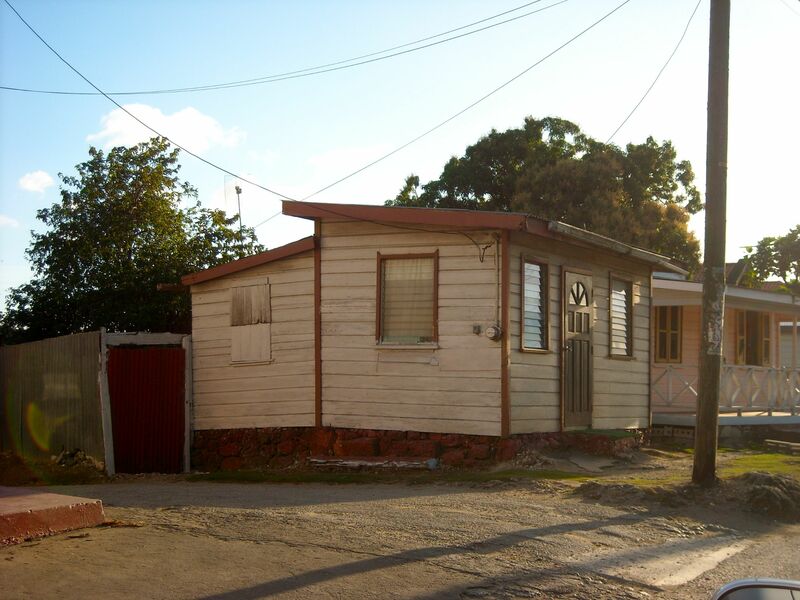 The 51 units are part of efforts by the Government to provide more housing for Barbadians. A spanking new pavilion has also been constructed while the accompanying playing-field is already in use by residents in both Greens and Drax Hall Hope. 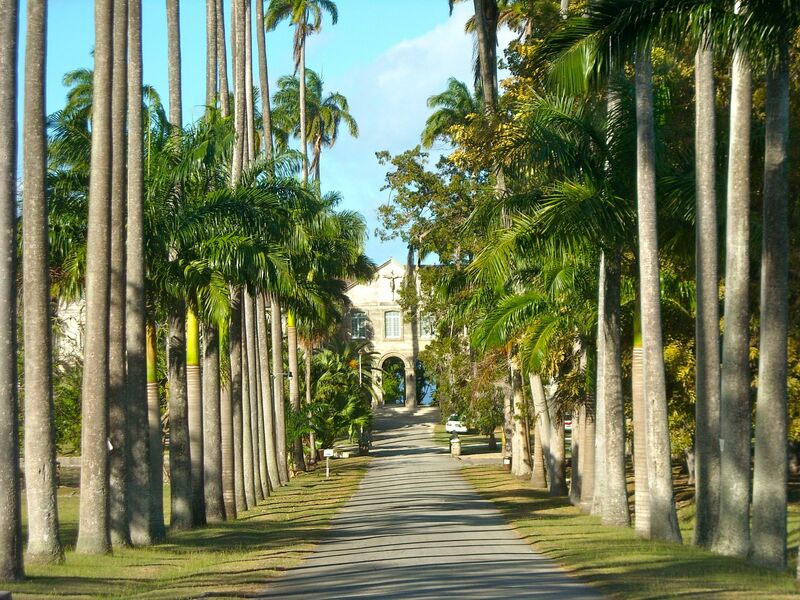 The Drax Hall Plantation House, along with St. Nicholas Abbey in St. Peter are considered national treasures. They stand as proud examples of Jacobean tradition, featuring steep gable roofs, impressive staircases and casement gable windows. We returned to St James along the Bridgetown by-pass, the only bit of dual carriageway on the island! Back home we had a visitor waiting for us, Donroy, a magnicent specim of a local ~ 6’5″ (a good match for me! 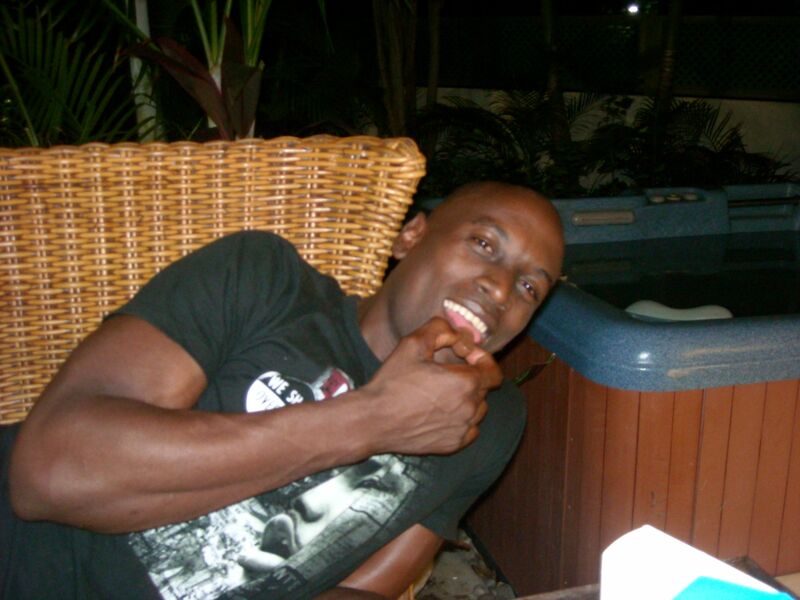 ), muscular, deep chocolate coloured skin. We all made for the pool and I apologised to Donroy that my tan wasn’t nearly as good as his… He said that when he’s been in the sun his skin goes even darker. Fun and games involving a lilo ensued and then we all retired to the hottub for more fun and frolics. Being 25th January the day wouldn’t have been complete without haggis and neeps to celebrate Burns Night. It certainly felt rather different sitting on the verandah with the fans whirring away above our heads, enjoying haggis and neeps Caribbean-style (mashed yam instead of bashed neeps), doused with a little Scotch. I was up with the lark this morning and enjoyed a stroll along the beach in the breakers as the sun came up, looking forward to the day ahead. A lazy day yesterday, and I was thankful for it. I enjoyed doing not very much during the morning whilst P&D were at work. “At work” consists of sitting at the breakfast bar surrounded by laptops and paperwork, arranging their business affairs back in England from the sultry comfort of Barbados. This occupied the morning and left to myself I enjoyed pottering around in the garden and slightly further afield. So I took myself off down to the beach (as described yesterday, it’s only about 200 metres away, across a road. I had the beach to myself, and out on the water there were a couple of yachts and other pleasure craft idling by. I turned south and started walking along the golden coral sand, the sea gently lapping across my feet. I was convinced that the sea was warmer than the swimming pool. I’d have waded in a bit beyond my ankles except that the coral rocks are numerous and sharp, and so best avoided until a properly clear sandy bit is found. I continued walking for a couple of hundred yards, passing a rather fit (this is an understatement) man who was doing some maintenance on a dinghy/yacht (I don’t know the difference so you’ll have to excuse the lack of precise detail). I wished him a good morning and he said “Would you like to go for a sail?”. I declined, and then instantly rather wished I hadn’t been so precipitate in dismissing the idea. Actually I rather think I would like to do that, but I’m not sure that I’m physically strong enough to do it without risk of hurting my back. It would be the ruination of my holiday if something went wrong there. I continued on my way and then eventually retraced my steps, passing the yachtsman and still I thought about the idea. Back at the house I toe-dipped again. Still bloomin’ freezing! The sea was definitely warmer! I came to the conclusion that the swimming pool and I were not to be intimate friends during my stay here. I started to read one of the books I’ve brought with me, this one Clarissa Dickson-Wright’s latest: a sort of year-in-the-life affair, and rather good. But the swimming pool was calling. Another toe dip followed, except this time I waded in up to my knees. Still very cold in my opinion, but I was desperate to swim so I resolved on an action plan. Back to the patio and the hot tub for a quick immersion. Considerably warmer and then emboldened I went straight down to the pool and waded into the water up to my waist, and then the final baptism of fire (or in this case, ice)! Of course, once I was in I realised it was lovely (if bracing). And thereafter no-one’s been able to keep me out of the pool! 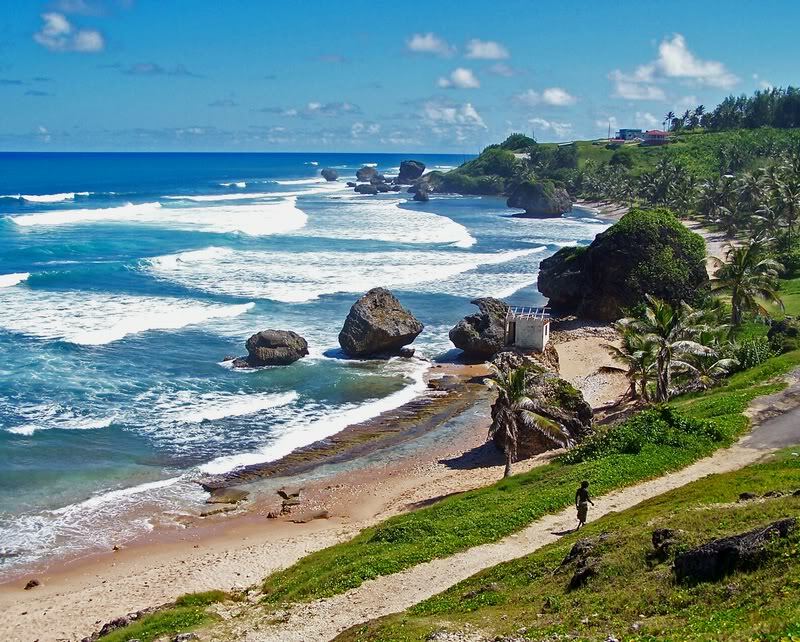 When P&D had finished work and been out for some groceries, we set off on a little jaunt up the west coast to Speightstown (also known as ‘Little Bristol’). 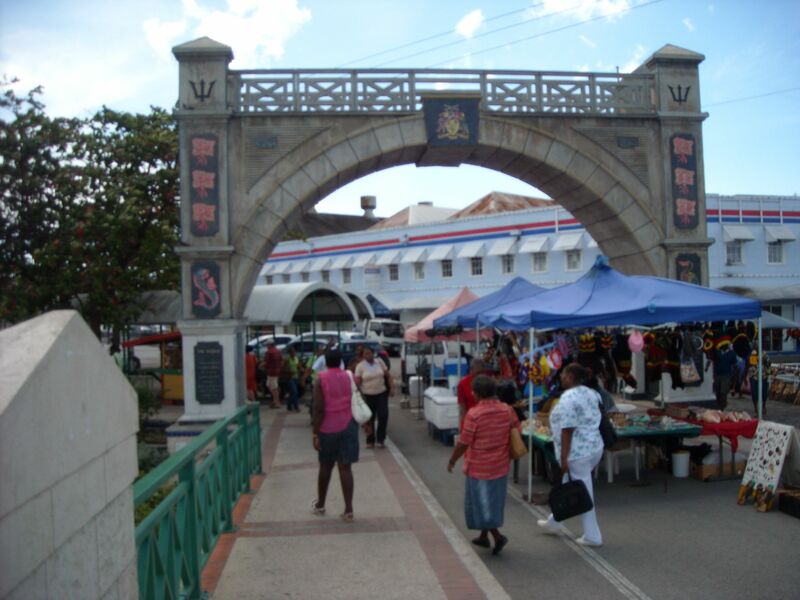 The area of Speightstown was the first major port and commercial centre of Barbados. 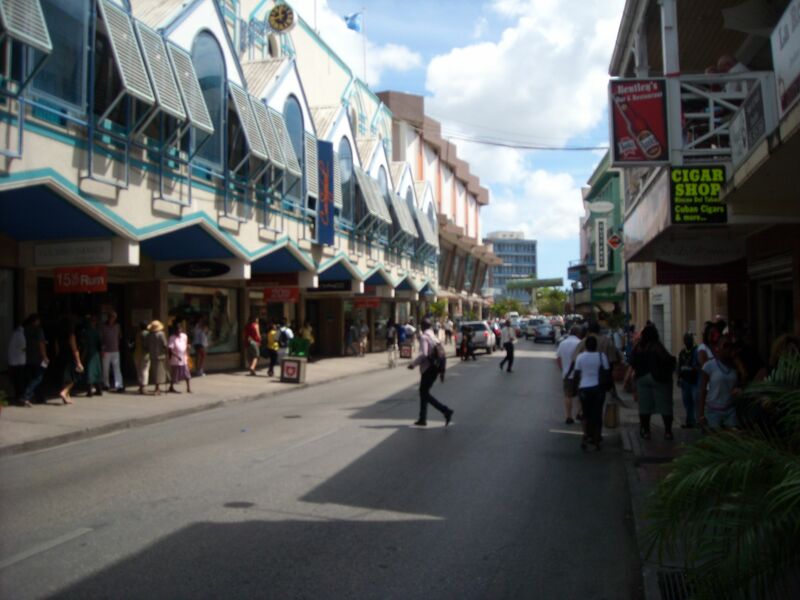 The city is named after William Speight, a member of Barbados’ first Assembly during the colonial years as well as the former land owner where the city is located. It has a long and colorful history reaching back to the 17th century when it served as one of the main ports connecting the island with the “mother country,” England. 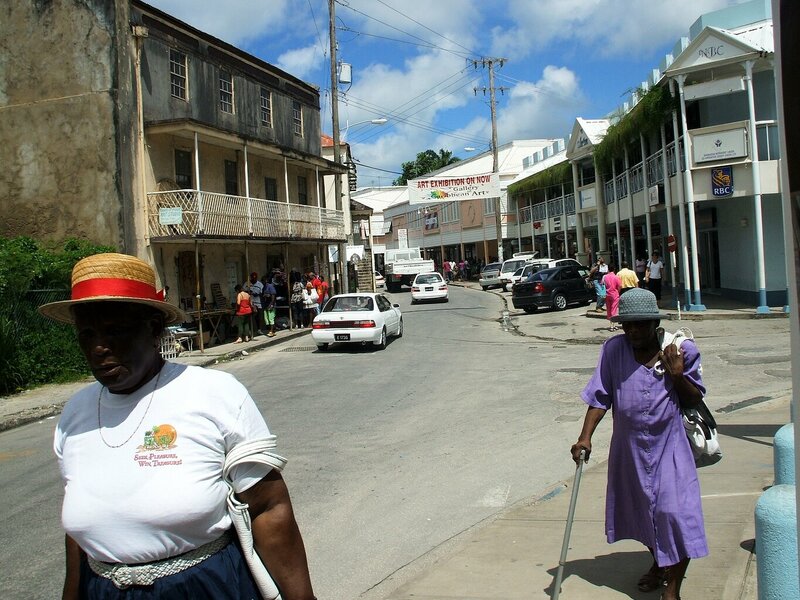 Back then Speightstown was sometimes called “Little Bristol” because of these trading connections with Bristol. Many historic buildings dating from colonial times, including Arlington House, still remain standing in the town. 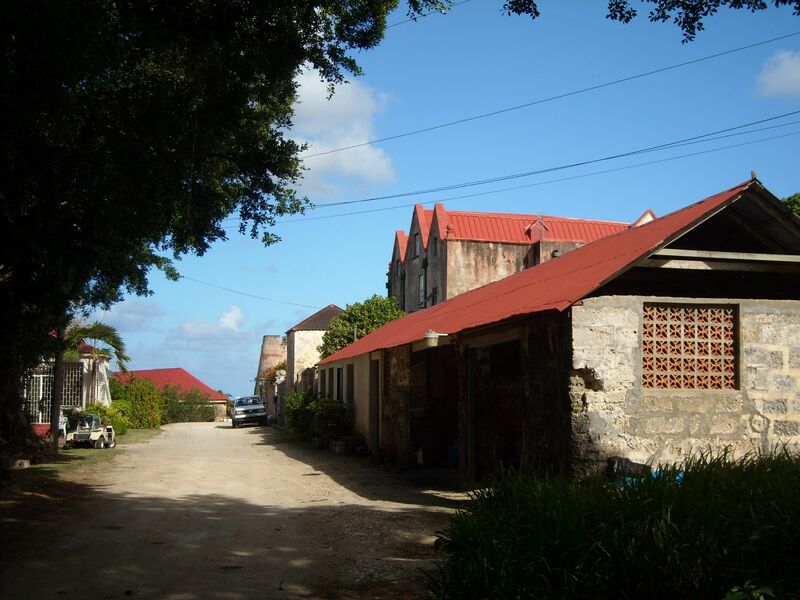 Speightstown saw a lot of activity during the reign of the sugar industry and the day of the slave trade. Many slaves would have passed through this town, even if they were to be shipped on further to other islands or America. We had lunch at a lovely beach-side bar sitting underneath palm trees watching the scrummy blue sea crashing onto the shore just yards away. Anyone who has driven along the A31 between Wimborne Minster and Winterborne Zelston in Dorset will be familiar with “The Wall”, Stag Gate and Lion Gate. A six foot high wall, one of the longest in England, surrounds the Drax estate, Charborough Park, home of the Drax family who made their fortune on the sugar plantations of Barbados, aided not a little bit by slavery. 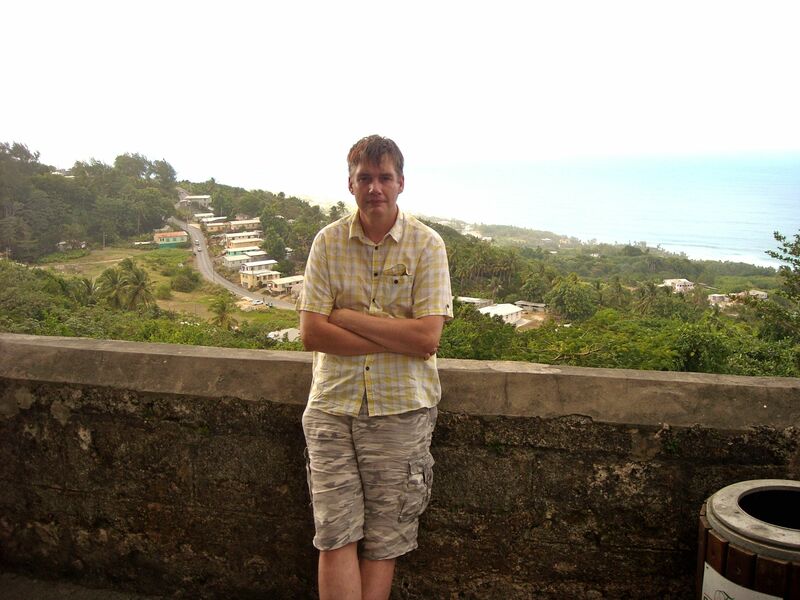 Here in Barbados, the Drax’s were the first to cultivate sugar cane, in 1642. 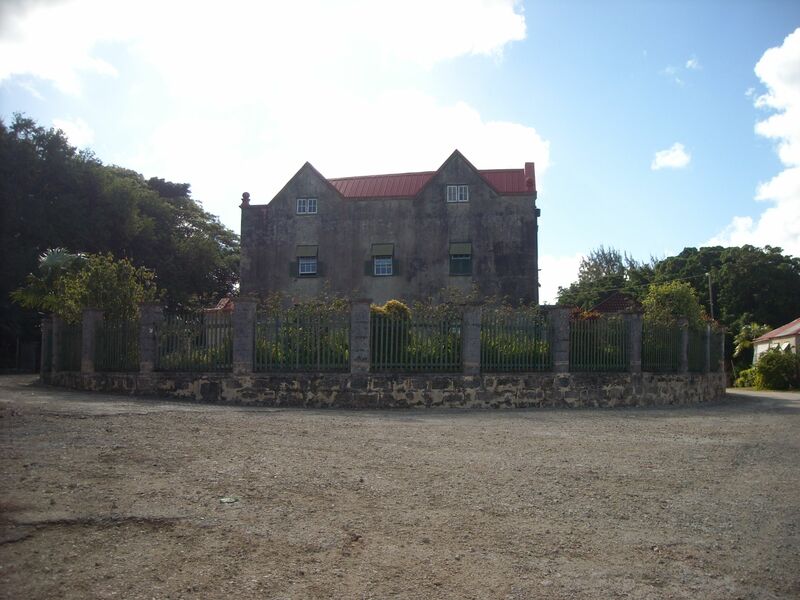 Drax Hall Estate is one of only two Jacobean houses remaining in Barbados. And the estate has belonged to the same family ever since it was built. The estate is still a sugar plantation but regrettably the old house is not open to the public. I understand the family live in rather more palatial surroundings nowadays, and that they’re in residence right now – hardly surprising given the winter weather back home! So it was fascinating for me yesterday to visit the Arlington House Museum just across the road from the bar, and learn all about the history of the island and the sugar barons, led by Drax 300 years ago. The museum is the first of its kind in Barbados, very interactive and with really good interpretative displays. It was a fascinating hour with quite a number of surprises along the way. 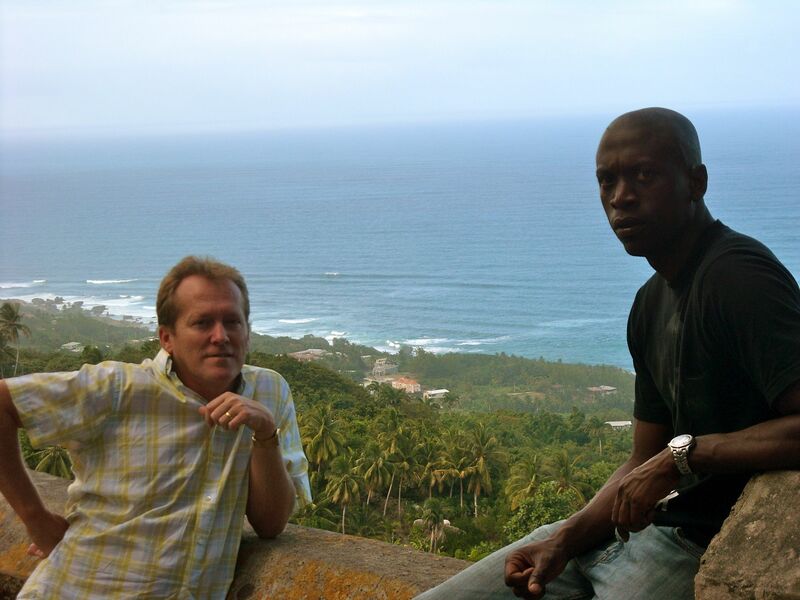 I’d say it should be a ‘must’ for anyone visiting Barbados in the future. We turned to Prospect following ‘Route 1’, the coast road. It felt like a fairly narrow surburban road meandering through various settlements, never more than about a hundred metres from the shore, and all the while the wonderfully blue sea in view. After the sun set (pretty spectacular sunset across the sea) dinner followed at home, with some local friends of P&D’s joining us for champagne (imported by me, along with two haggis for Burns Night on Monday) and nibbles. After dark I enjoyed a dip in the pool with Mark the Jamaican. I’m sure I saw the moon rise out of the water but I could have been mistaken; it was certainly memorable though. Dale the Bajan suggested an after-dinner hot tub dip and that was too tempting to turn down; it was lovely lying in bubbling warm water staring up at the stars. And so to bed at the end of my first full day in Barbados. 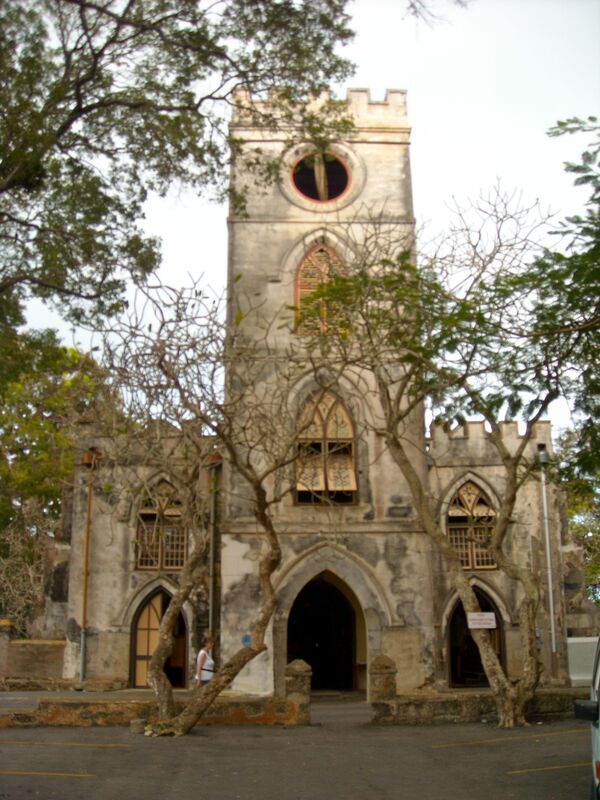 The itinerary for today is more swimming, a visit to Hunte’s Garden in the parish of St Joseph’s (the whole island is split into parishes of the Church of England) and exploring the undeveloped east (Atlantic) coast. Hopefully tonight I’ll sleep a little more soundly than I’ve managed for the past two nights. The tree frogs are noisy! !